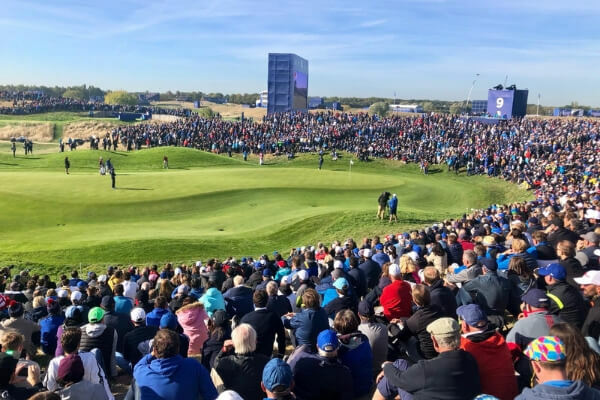 The 2018 Ryder Cup is over and European fans can celebrate an absolutely incredible weekend where Thomas Bjorn and Team Europe regained the Ryder Cup in emphatic fashion. From Thursday morning’s journey out to right now as I wait for my flight home, these past few days have been surreal and I urge every golf fan to experience a Ryder Cup in their lifetime. You know that feeling when you’re looking forward to something for ages, and it delivers on all fronts? That was this year’s Ryder Cup. With Tiger Woods winning the week before, Justin Rose clinching the FedEx Cup and a whole season of high quality, exciting tournaments, the stage was set for an unforgettable showdown in Paris. Watching with the locals in and around Paris during Friday and Saturday, it was Sunday where we got into the action and it was electric. We made sure to get in early, spend some money in the official shop and then head to the grandstand at the first tee, turns out that was a brilliant decision. 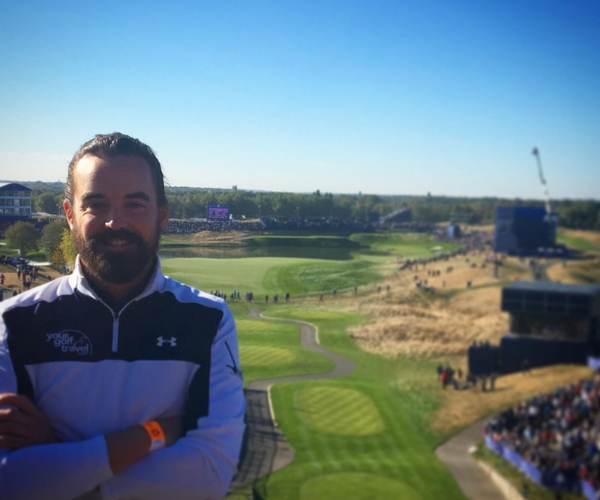 The atmosphere built up until the first tee time, with the likes of José María Olazábal hyping up the crowds and the sun beaming down on Le Golf National, giving us the perfect Ryder Cup experience. From there we headed to the 16th, a hole which has been popular all week and when it came down to it, was the defining hole for the tournament. The crowds around the par-3 green were huge and the atmosphere was indescribable; the action was so pulsating that you didn’t know where to look – At the green? The tee? Or the huge screen behind us keeping us up to date with the other results. In the end our spot to the right of the green was perfect and we can count ourselves extremely lucky that not only were we at the course for Europe regaining the Ryder Cup, but at the hole as well. So…I’m not trying to brag here. But I’ve been to The Masters 3 times. I’ve spent the last 3 and a bit years (my first Masters was in 2015 when Jordan Spieth ran riot) waxing lyrical about it to my friends and family who have a common interest in golf. 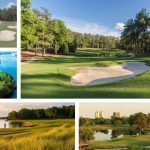 And I have not been exaggerating in saying that Augusta offers the best live viewing experience golf has to offer. However, despite how special it is walking the world’s most famous golf course, seeing Tiger make eagle, birdie, eagle in the three holes I followed him for, watching Nicklaus, Watson and Player playing the Par 3 Tournament (the memories are many ; it was all trumped in one EPIC day at Le Golf National on Sunday. 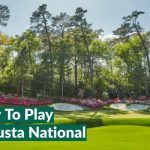 You see more golf in “first person” at The Masters and that’s part of what makes it such a special tournament to attend. But that’s where it ends. The Ryder Cup wins in every other department. It’s probably easy for me to say this while still riding high on a wave of Team Europe euphoria, as well as some fairly strong pain killers and a fair bit of water this morning, but it was just awesome…I think even if America’s brief hint of a Sunday comeback actually played out the way they wanted it to, I’d still have loved the experience. The atmosphere is something I wish I could bottle up for use when I need an adrenaline hit. From arriving at the 1st Tee Grandstand 3 hours before the 1st match was due to tee off, to being about 15 feet from Phil Mickelson’s splash ball that handed the cup back to Europe, my day at The Ryder Cup was so far ahead of what I expected it to be in terms of entertainment, emotion and experience, it was tantamount to watching Usain Bolt setting his first 100m world record, easing off after 60 meters, looking back at his closest competitor (The Masters) and beating his chest as he strolled to victory. I would imagine the fact that this was a “home” Ryder Cup made it all the more special…but I’d guess even the American fans – once the heartache of yet another beating from the “lesser” team on paper has subsided – had an awesome week in Paris. I’ll be dining out on this one for a while and can’t wait to be that annoying prat at my home golf club, shouting “I WAS THERE” with a smug grin on my face every time someone mentions Paris 2018. 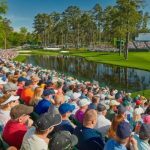 Obviously with Le Golf National now back to hosting the Open de France and being one of our favourite golf courses available open to play, the Ryder Cup is heading across the pond. Whistling Straits is the host of the 2020 Ryder Cup and based on my experiences this weekend, it would be right at the top of my bucket list. Despite losing, the American’s were in good voice this week and seemed to love every minute of the experience as away fans, so I can only imagine going over there as the away fan would be pretty special. If you want to join Your Golf Travel at Whistling Straits in two years time and watch Europe defend the Ryder Cup, then why not register your interest for 2020 now?